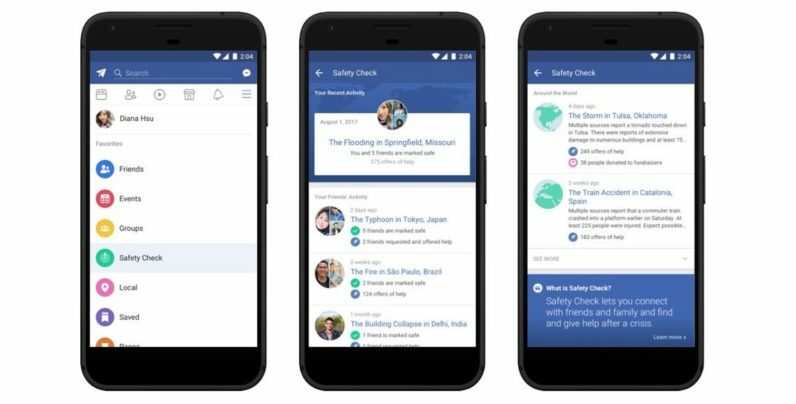 Facebook today announced it was updating its Safety Check feature, making it easier to find and more useful for people in dire need. It will now have its own dedicated tab with all information consolidated there. There’s now a single place to go to see where Safety Check has recently been activated, get the information you need and potentially be able to help affected areas. Safety Check isn’t perfect — sometimes it prompts people far outside the crisis area to check in, as our Matthew Hughes pointed out from first-hand experience. When it originally debuted, it was for natural disasters, but has since expanded to include multiple different kinds of crises, including terror attacks. It’s a sad state of affairs that the Facebook Safety Check needs to be more prominent because, in an age of consistent and frequent global crises, more people need it than ever. But at least Facebook is trying to help, flawed though its tool might be. Facebook will be rolling out the feature over the next few weeks.